Meghan Markle and Prince Harry are expecting their first child this year. The couple are said to be expecting their little one in late April or early May, with Kensington Palace only confirming Meghan was due in "spring 2019". Apparently, the Duchess of Sussex's thumbs may reveal a lot about the birth of her first child - namely, that she will have an “early and quick labour”. Photos from the 37-year-old's visit to the National Theatre last month appear to show that she has double-jointed fingers, meaning her joints are "hypermobile". In other words, she's able to move her fingers beyond the normal range of movement without it hurtling. Dr Adam Taylor, an expert in anatomy at Lancaster Medical School, told Fabulous Digital that hyper mobility can help people do yoga (which the Duchess of Sussex is a massive fan of) - and, in fact, may make it easier to give birth. “The ligaments of the pelvis, which help hold the pelvis together, are believed to loosen over pregnancy. Birth coach Alexandra Kreme added that hypermobility could also mean the former actress has a quicker labour, or even an earlier labour, as as the muscles that hold in the baby are more lax. “If you’re already hypermobile, then pregnancy can take more of a toll on you and your body. “It’s not uncommon to have issues with pelvic girdle pain and in more extreme cases it could cause premature labour. “Due to how fragile the connective tissue can be, hypermobility has shown that there can be a connection with early labour. “If Meghan suffers with hypermobility, then it’s likely her care providers will have talked to her about it and looked at all the options. 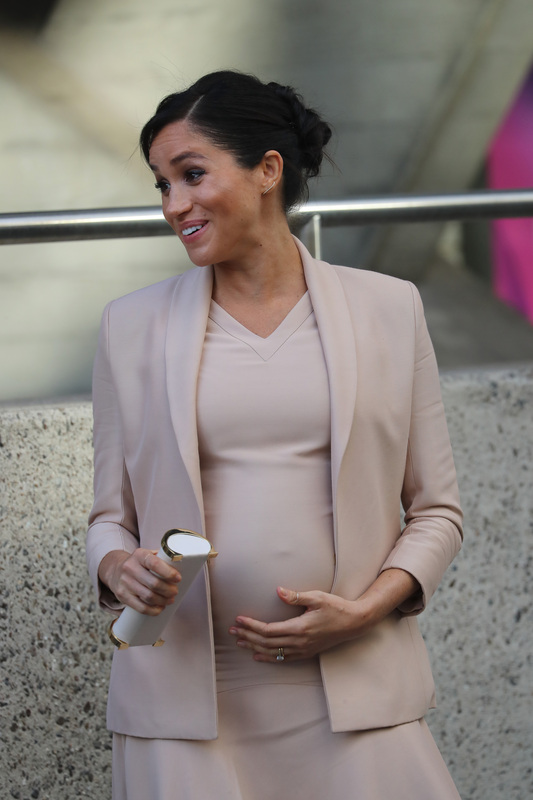 The UK's top scientific hand and fingerprint analyst, Helen Elizabeth Evans, said she also believes Meghan's flexible thumbs may lead to her having a shorter labour. “If she is hyper-flexible, it may make giving birth easier than it would be for someone who is naturally quite tense.